Increased price transparency, deregulation in many markets and fluctuating fuel prices have intensified competition for airlines. While traveler expectations are increasing due to carry-over effects from other industries where customer centricity and service, supported by digital technology, have matured quickly. Airline managers must overcome the eternal dilemma of structurally reducing costs, while investing in enhancing customer experience. Over the course of a single flight there can be dozens of plan-altering interactions that create a complex web of data. Crew, ground operations, sales, marketing and customer service need to make informed decisions on the vast amount of data to serve the passenger This can only be realized by knocking down the traditional silos that exist in airlines. Accenture Aviation Experience Accelerator (AAEA) enables airlines to orchestrate the customer experience at scale, while improving operational performance. AAEA can offer a variety of functionalities that can be selected and tailored to fit the requirements of each individual airline. 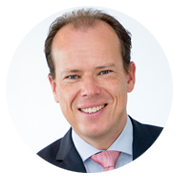 Dirk-Jan Koops is Managing Director in Accenture’s Global Aviation practice, and the Global Digital Lead for the industry segment. Dirk-Jan’s experience includes many different areas of the airline and travel business, including strategy, revenue management, marketing, sales, distribution, loyalty management, business innovation and e-commerce. In his 20+ year career, Dirk-Jan has worked with many airline companies across the globe. Dirk-Jan holds a Master’s degree in Business Economics from Rotterdam Erasmus University. Robert is a Senior Manager in Accenture’s Global Aviation practice and part of Accenture’s travel community since 2004. 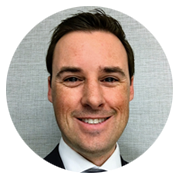 Robert’s expertise is in defining and implementing digital transformation plans, digital commerce and portfolio & program management. Robert is go-to-market lead for the Accenture Aviation Experience Accelerator and a co-author of the Accenture Point of View on digitization in the airline industry. Robert holds a Master’s degree in Business Information Technology from University of Twente.